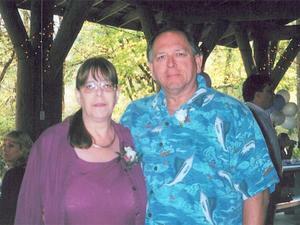 A Vancouver, WA couple stuck near Mount St. Helens for five days are alive and well. The Clark County Sheriff's Office says they were stuck near the Ape Caves and took shelter in their car to survive in the frigid weather. No one is sure why they were near the caves, but it appears their car got trapped in the snow. Our sister station KPTV in Portland says the couple, 63-year-olds John and Pat Norvel, were reported missing by their children last Sunday. They were found by snowmobilers around 9:15 last night. The snowmobilers gave them some food and water, then helped dig their car out. The couple was able to drive to the town of Cougar where they were checked out by paramedics. Both are diabetics. They had extra food and heavy clothes with them that helped them survive for five days. According to the U.S. Forest Service, the Ape Cave is one of the longest known lava tube caves in North America. It was discovered in 1947 by a logger.The name was chosen by a Scout troop.